Racing simulators are serious business and these days you can get a decent setup at home for very reasonable money. But even the best sim rig still looks like… well, a sim rig. 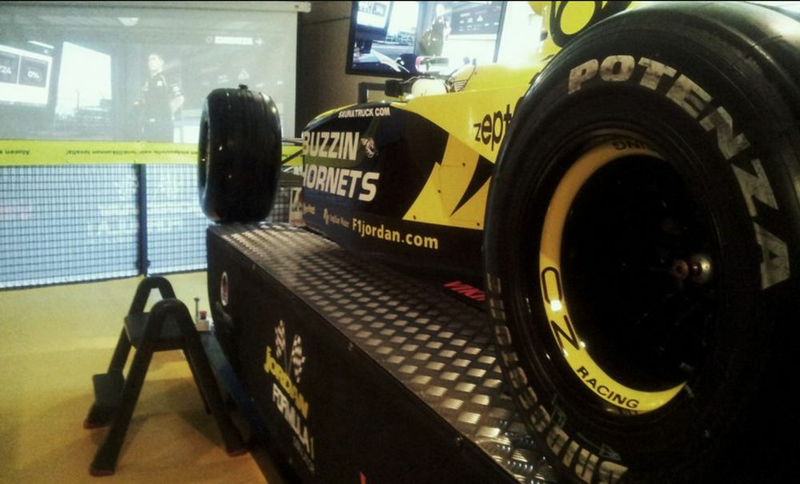 What you really need is a racing simulator that looks like an actual F1 car. This should have you covered. 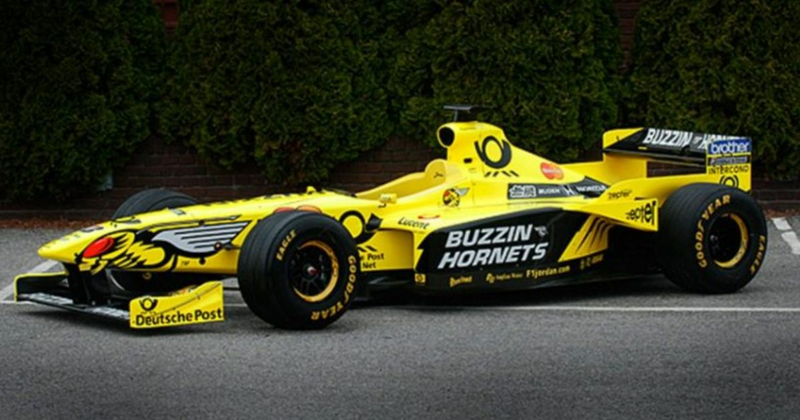 Based around a 1998 Jordan 198 - the car Damon Hill famously took to victory at a soaking Spa-Francorchamps - it sits atop a full platform controlled by three linear motors, making it a full-on motion simulator - the only one of its kind in Europe, according to the ad. It comes with all the hardware needed to operate both the sim and the platform and although it’s currently running F1 2011, you could always install something a bit more modern if you fancied. Pretty cool, right? Except this is more than just sim dressed up in the shell of a show car. Oh no. This Jordan actually drives. Sadly it’s no longer powered by the glorious V10 Mugen Honda engine it had in period. It does still have a Honda engine, but it’s from a motorbike. It also comes with a set of jacks and extra tyres so you can practice pit stops until your heart’s content. 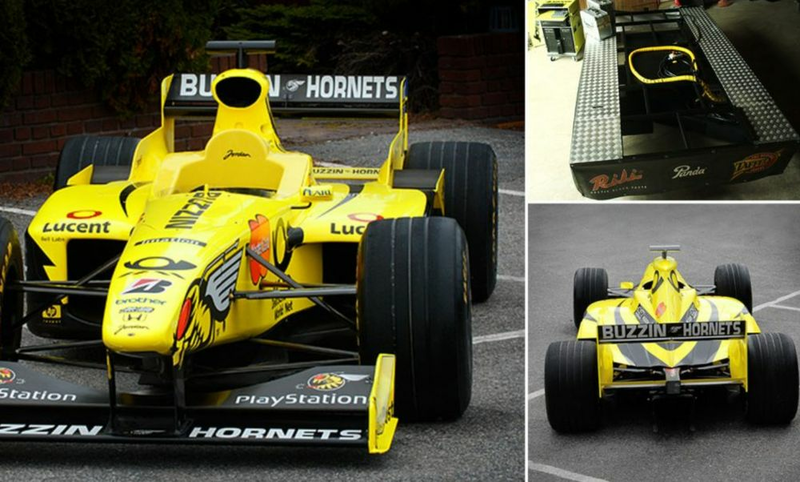 The price for this one-of-a-kind racing simulator/bike-engined F1 car mash-up? €85,000. Bargain! All images via Heritage F1. You can view the full advert by clicking here.